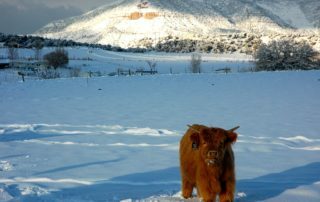 Welcome to Lamborn Mountain Farmstead! 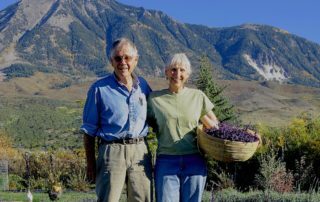 Lamborn Mountain Farmstead is a family owned farm that sits on Lamborn Mesa, overlooking Paonia, Colorado in the North Fork Valley. Nestled just under Mount Lamborn we have 360-degree vistas encompassing views of The Uncompaghre Plateau, Grand Mesa, and The West Elk Mountains with Mount Lamborn just behind us. 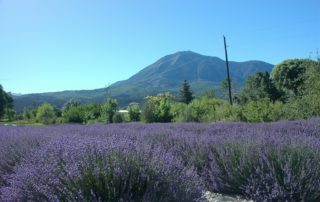 At 6,200 feet elevation we are near the upper limit for growing lavender. We live in the original 1905 farmhouse, one of the early farms in the area. 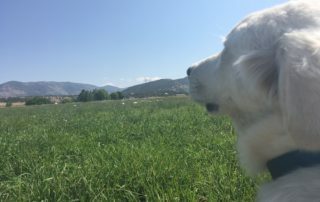 The North Fork Valley (North Fork of the Gunnison River) encompasses the towns of Hotchkiss, Paonia and Crawford and is known for its organic fruit orchards, vegetables farms, Vineyards, and organic meat production. We, and our fellow lavender growers, are adding lavender to that list. 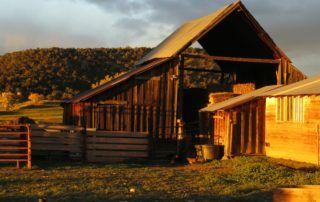 What we produce: As its name suggests, Lamborn Mountain Farmstead has a little bit of everything. We have chickens, goats, highland cattle, lavender, vegetable and herb gardens and fields of irrigated grass/alfalfa hay. Products for Sale: We have lavender and lavender products for sale, goat milk soap, halves and quarters of tender, good tasting, grass finished Highland Cattle beef and Dorper sheep.